Shortly after President Trump was elected, Ford, GM, Fiat-Chysler and 17 other auto manufacturers under the auspices of the Alliance of Auto Manufacturers, wrote him a letter asking to revisit the EPA’s final ruling on the CAFE standards. Under Obama, auto companies agreed to achieve a 54.5 mpg average for their entire fleets by 2025. This could dramatically reduce our reliance of foreign oil, save families thousands of dollars in gas expenses, and lessen air pollution. But the auto companies hoped to lower that goal during a mid-term review so they could continue to sell more SUVs and pick-ups. These large vehicles are more profitable. Trump’s election opened the door for lowering the standards and the companies walked through it immediately. In recent weeks auto companies have been making more announcements about their commitment to produce electric vehicles. Meanwhile, they continue to attempt to roll back the very regulations that would require them to do so. When Sierra Club did a study of over 200 dealerships in the US, they discovered that sales reps often knew little about EVs, the EVs were often on the back of the lot and not-charged. In short, companies seem to be two-faced. Their media says all the right things about EVs and the future, but their lobbying is trying to keep us tied to large, gas-guzzling vehicles for as long as possible. In the end, American auto companies are doing what they have done so many times before. 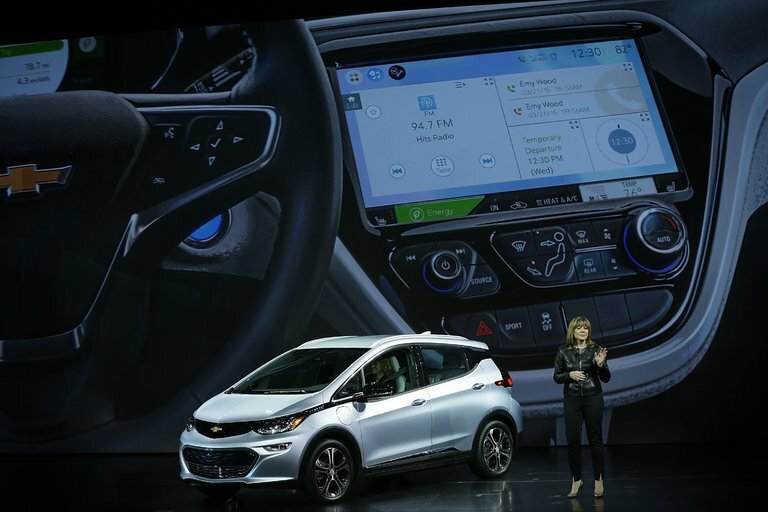 They are thinking short-term about immediate profitability and not long-term about their competitiveness in a largely EV marketplace, one that is dominated by shared and autonomous EVs. They are also making themselves vulnerable to a consumer campaign that demands more fuel efficiency, less pollution, less reliance on foreign oil, and greater innovation to ensure future competitiveness.